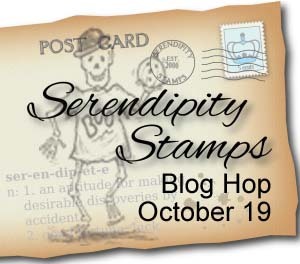 Smitten: Serendipity Stamps Challenge Blog and Hop- Anything Goes!! Vickie I love your Mr bones - his cool tie dye shirt is amazing.. and love the boo layered.. and then BAM! you hit me with those snowflakes and I'm in love all over again! They're amazing! Not into Halloween but love the Wish. thanks. Love the boo guy and his shirt looks great! The snowflake card is simply gorgeous with all the glitter!!!! Awesome cards. Your halloween card is colored so fun but the second card steals the show. Love that color combo. Like both these cards. The snowflake one have my favorite color. 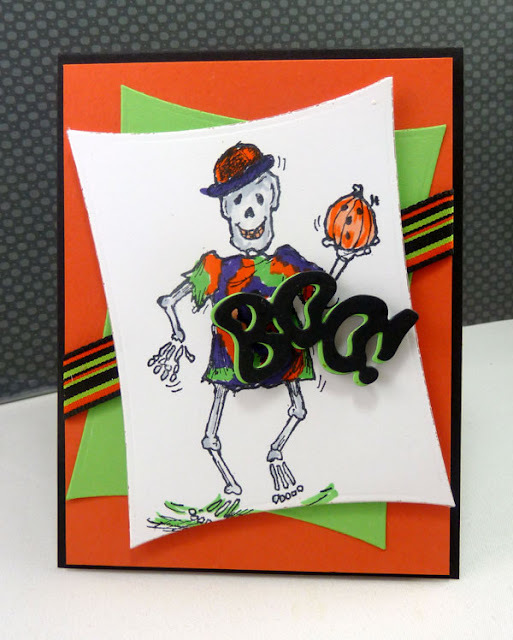 Fun Halloween and beautiful Christmas cards! Love the snowflakes! I cannot think of another word but to say these snowflakes are just SWEET! with different colors. fun idea. that Halloween card is darling. Fabulous, Vickie! Mr Bones never looked so good! And I adore your snowflake card. Everything is gorgeous..the colors, the embossing, the snowflakes..perfect! 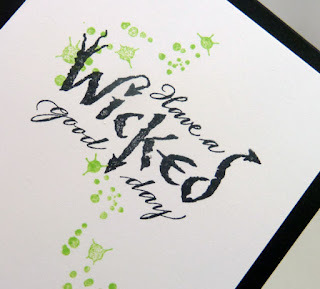 Cute and fun Halloween card. 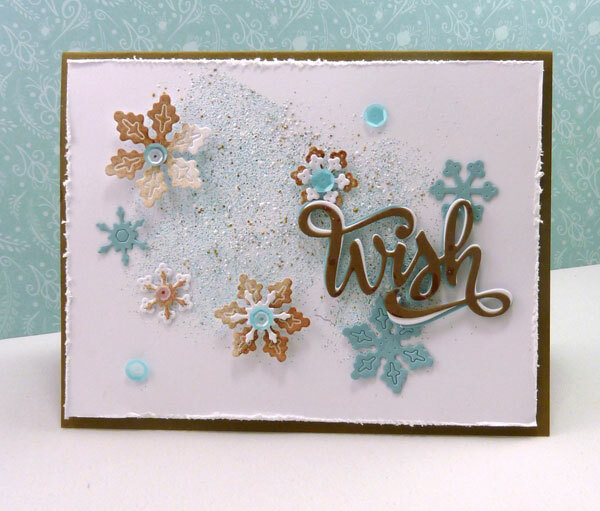 Love the colors and dimension on the snowflake card. Mr. Bones is definitely out to have a spooky time...love the glittery snowflakes! Such great cards! Thank you for the inspiration! The "boo" card is super cute! 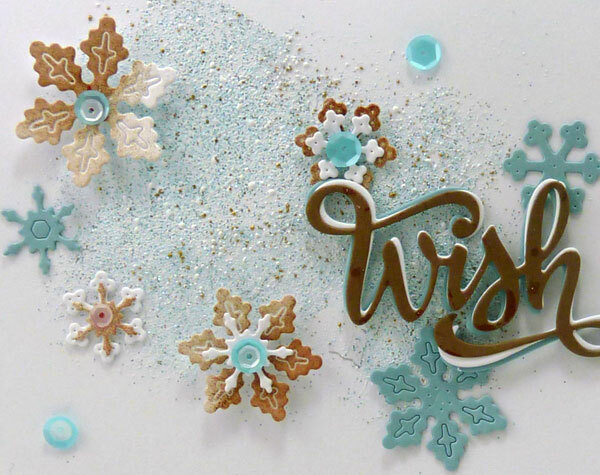 The background is gorgeous with the snowflake card.